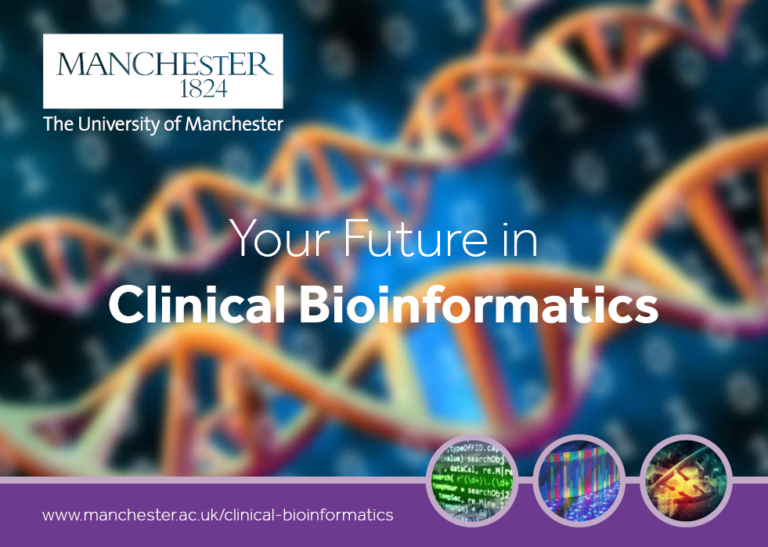 The University of Manchester is launching a new bioinformatics postgraduate course that will allow students to study flexibly online. The new PG Cert in Clinical Bioinformatics will start in March 2019, and is clinically focused, allowing students to develop their knowledge and skills in clinical bioinformatics using real-life cases. For more information on the course and details on how to apply, click here.